Canada’s Barrick Gold (TSX, NYSE: ABX), the world's No.1 producer of the precious metal, is said to be mulling either the sale of a stake in its Lagunas Norte mine in Peru or the addition of a partner in the venture. People familiar with the matter told Reuters that the Toronto-based miner would prefer to keep at least a 50% ownership of the mine, located in north-central Peru, 140 km east of the coastal city of Trujillo. However, they said it was unclear whether the company wanted to keep control of the open-pit mine as operator. 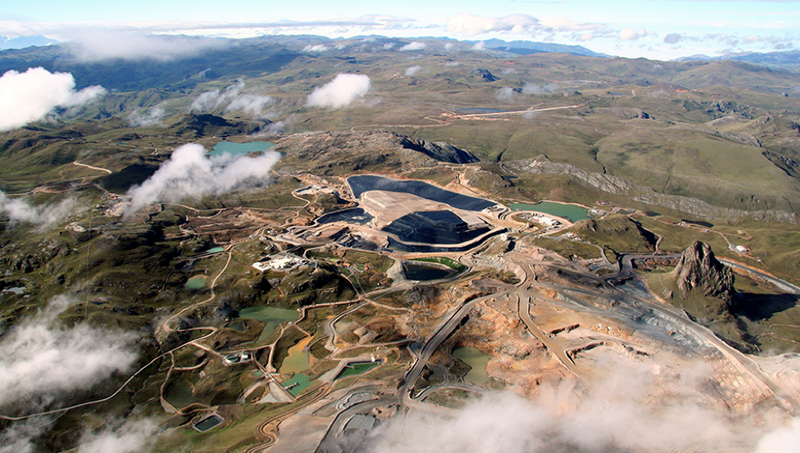 Rumours come a year after the gold miner vowed to spend $640 million to extend the life of Lagunas Norte, worth about $1.4 billion according to industry experts. The rumours come a year after Barrick vowed to spend $640 million to extend the life of the mine, worth about $1.4 billion according to industry experts, by about nine years. The plan unveiled last year including adding a refractory processing facility at the property, which was expected to potentially unlock other refractory ore sources in the region, the company said at the time. Perched on the western flank of the Peruvian Andes at an elevation of 4,000 to 4,260 meters above sea level, Lagunas Norte produced 435,000 ounces of gold in 2016, at a cost of sales of $651 per ounce, and all-in sustaining costs of $529 per ounce. Production this year is anticipated to be 380,000-420,000 ounces of gold, the company said last month, at a cost of sales of $710-$780 per ounce, and all-in sustaining costs of $560-$620 per ounce. In the past few months, Barrick has been working on strengthening its position in Latin America, a market where it has experienced a series of challenges since the beginning of the decade. In September, the gold miner appointed a new executive, George Bee, to lead the development of the Argentine side of the mothballed Pascua Lama gold, silver and copper project straddling the border between Chile and Argentina.